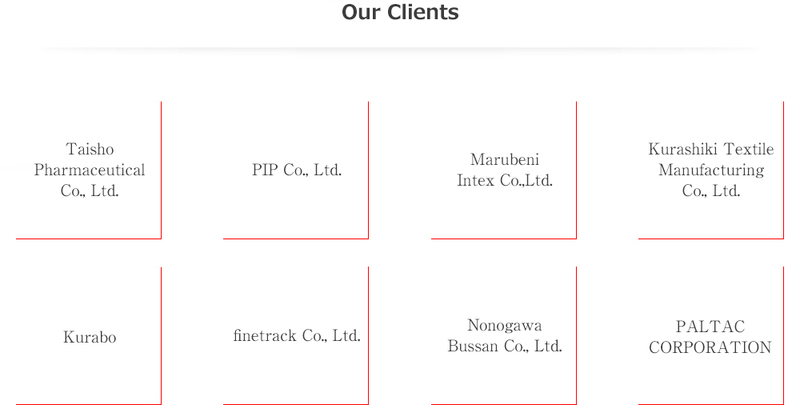 Through monozukuri (creating products, services, response, etc. ), it is Shirohato’s wish to offer all the people involved with products that make them feel pleasant and happy. As a long-established member of the mask industry, Shirohato can prepare proposals appropriate for the market and trends based on our business results and information accumulated to date. Unlike most competitors, we at Shirohato have our very own in-house planning team and factories that handle manufacturing, which enables us to respond swiftly even when samples are needed urgently, or a swift response is demanded. We are proud of our ability to respond flexibly in order to suit product specifications or the needs of the times in order to satisfy the changing requests and cost expectations of our customers. Shirohato is capable of manufacturing that competitors or other machinery is not. In Japan, general hygiene masks are classified as miscellaneous goods however Shirohato firmly believes they should be treated as “food level” products, due to being worn on the mouth, and have established our own inspection items and management system in order to manage production, quality and delivery time. All masks, whether manufactured in Japan or overseas, are automatically packaged on Shirohato’s original packaging line. Shirohato is constantly sensitive to the needs and trends emerging in the world so that we may always pursue better products for our customers and present proposals appropriately. The accumulation of this practice is the origin of our new ideas and development of products with better user-friendliness than ever before. Our patent power comes not because we engage in product development purely for the sake of acquiring patents, but because we accumulate development capability while constantly considering what is best for our customers and their users. Shirohato responds to the needs of a wide-range of customers, including OEM products for major medical drug manufacturers, major pharmacies, major supermarkets and major convenience stores.